Last November 26, 2018, HARI President and CEO Ma. Fe Perez-Agudo, alongside St. Scholastica’s College Manila, launched the Maria Fe Perez-Agudo (MFPA) Center for Leadership Excellence with the MFPA Thought Leadership Forum held at St. Cecilia’s Hall. 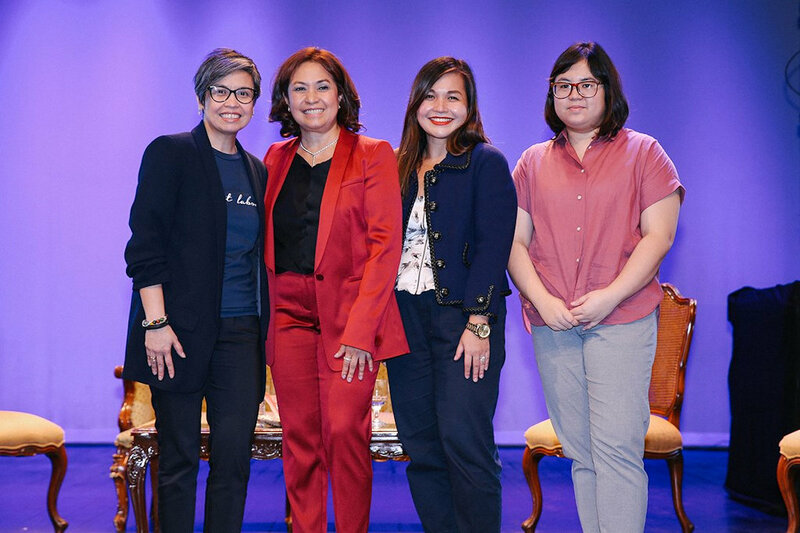 The forum, with the theme “The Future of Everything: Shaping young leaders in the age of digital disruption,” was led by Ms. Agudo and a panel of women executives and attended by St. Scholastica’s student leaders from various grades. The speakers tackled the challenges of becoming transformational leaders in the modern age and of adopting the right mindset for leadership. Sr. Christine Pinto, OSB, President of St. Scholastica’s College Manila, and Sr. Mary John Mananzan, OSB, Vice President for External Affairs opened the session. Mattel Soliven-Celestino, Head of Digital Marketing at ABS-CBN Corporation, emphasized the value of asking the right questions. She urged the students to practice curiosity, to let go of assumptions in favor of a willingness to learn, and to use digital tools to find answers. Valenice Balace, Product Manager at JG Summit Holdings, Inc., and an award-winning app developer, discussed how data can be mined and interpreted to produce solutions and effective interventions. Finally, Golda Roldan, Managing Director at J. Walter Thompson Manila, urged participants to harness and cultivate their creativity in their studies and in their future roles as leaders. The MFPA Center for Leadership will aim to create positive change through for modules: Personal Leadership, Organizational Leadership, Social Change, and Service Learning.